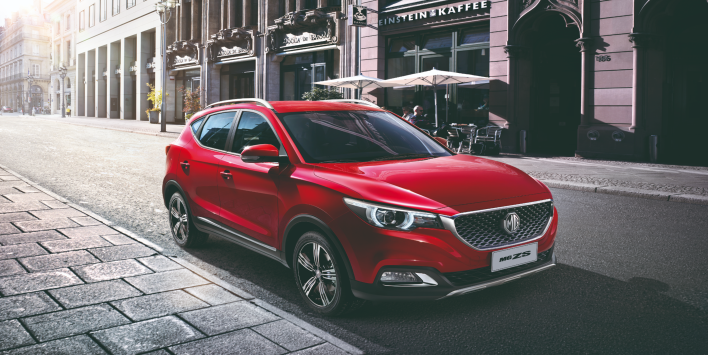 The thrilling design and the sleek lines of the 2019 MG ZS makes it the top youthful compact SUV this year, combining luxury, style and performance to meet your aspirations in a stylish vehicle. The MG ZS is available at Zayani Motors, the exclusive distributor of MG in the Kingdom of Bahrain, for a price starting from BD4,999 and for a limited time only. The offer from Zayani Motors also includes a six-year or 200,000 km manufacturer warranty. Designed to perfectly match your modern and stylish lifestyle, the MG ZS is the first to adapt the signature design of MG motors; the London Eye inspired headlight and the star rider grille, making it a head-turner wherever it is present. This exceptional youthful SUV comes within MG’s strategy to reinvent itself globally, with a focus on the Middle East region, reflecting premium experience and commitment to the quality of the brand. As the manufacturer targets the youth category, the MG ZS was designed while taking into consideration youthful features, mainly the visual impact, strong performance, guaranteed durability and most importantly a reasonable price. The interior of the car is designed to give the driver and passengers a premium travelling experience, with generous shoulder, leg and headroom capacities, in addition to several easy-to-reach hi-tech features, making it an everlasting fun ride. The cabin comes with an Intelligent Telematics System, an eight-inch touchscreen – the biggest screen in its class – that supports Bluetooth, inkaLink® – MG’s unique vehicle system connecting the car to android devices – and Apple CarPlay. The large optional panoramic sunroof and the dual colour interior, makes the MG ZS more appealing to younger generations who seek uniqueness and style. Safety features, overspeed warning and a tyre pressure monitoring system are all available in the 2019 MG ZS, as well as parking sensors, a rear parking camera, cruise control and a unique concealed flipping tailgate. Built with emphasis on durability, the new model is manufactured with an USD (Ultimate Stiffness Design) reinforced body structure with 70 percent high strength steel, ensuring that you can get behind the wheel reassured that your MG ZS has been made as per the highest automobiles safety standards in the world. Additionally, the MG ZS has undergone rigorous testing and received a 5-star rating in the C-NCAP crash tests, offering customers additional peace of mind. All models benefit from a strengthened high duty steel passenger safety cage, ESP, ABS, EBD and a tyre-pressure monitoring system (TPMS). The 2019 MG ZS comes with unmatched fuel efficiency for its class, thanks to the new generation NSE Major 1.5L engine, enabling it to travel 100km on just 5.8 litres. The model delivers maximum power of 119 hp and 150 Nm of torque and is equipped with a 4-speed automatic gearbox and a three power assisted steering modes, which are Urban, Normal and Dynamic, giving the driver complete control.